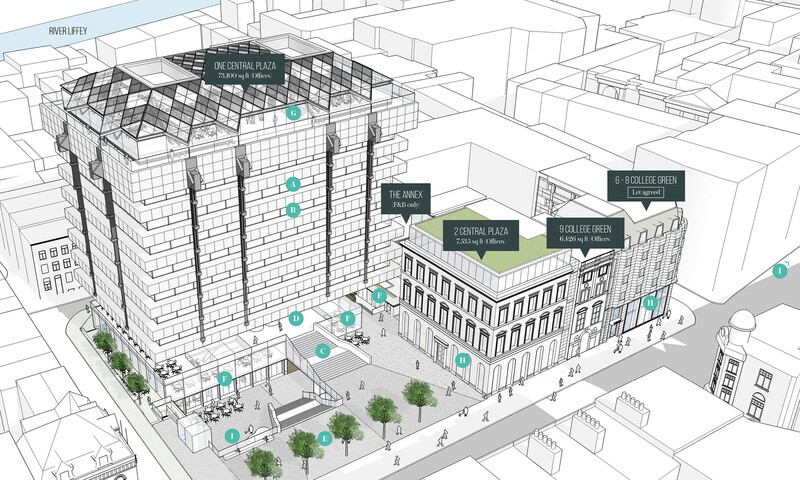 The centrepiece of our city campus, One Central Plaza is fully let to WeWork, the world leaders in shared workspace. 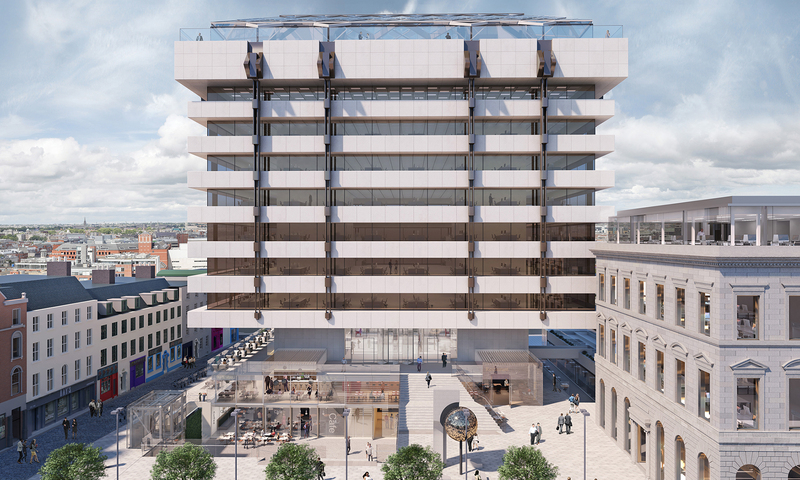 WeWork’s new Dublin 1 community will enjoy seven floors of fully modernised, ultra-connected offices with the best views in the city centre. Here, tenant companies and entrepreneurs are at the very heart of the action, overlooking an iconic meeting place where the city’s main walking and transport routes connect. The collective talent and energy of its office population will make Central Plaza a singular commercial and collaborative hub. Entering One Central Plaza will be a monumental experience for WeWork tenants and their visitors. After ascending the grand marble staircase from the plaza you arrive at a stunning 15-metre wide glazed facade. 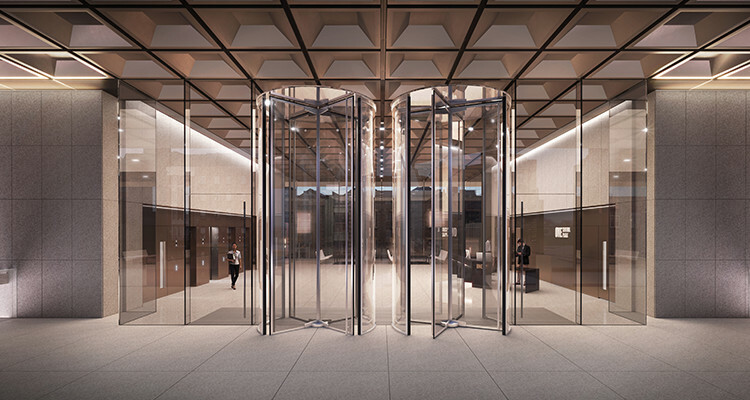 Double-height revolving doors usher you into a light-filled, double-height reception lobby and elevate you above the buzz of the city outside. 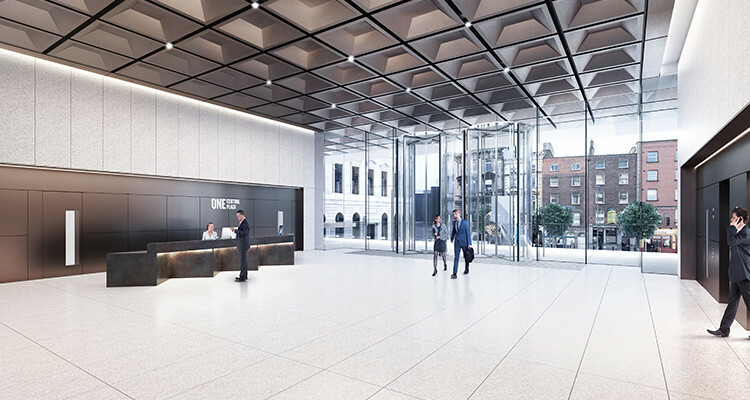 Fully glazed north and south façades open the entrance lobby onto the city to immersive effect. Large spans of double-height glass draw the city inwards, adding to the sense of theatre and spectacle. Tiles and ceilings continue in from the staircase landing and balcony to augment the impression of scale. A sculptural reception desk adds to the feeling of modernity. The entrance area also functions as prime workspace. A spacious lounge area wraps around the lift cores on the north face and transitions into twin meeting rooms that access an expansive 105 sq m outdoor terrace. Step onto an office floor from one of the high-speed lifts and you start to experience the inner strengths of the building's unique structural design. From the lower floors upwards, 360-degree vistas of the city stretch out in every direction. Full-height horizontal bands of uninterrupted glazing run from corner to corner, providing panoramas on all four sides. A high-tech modern facade upgrade allows the building’s radical architecture to come into its own: now mullion-free, the new high-clarity tinted glass allows even better natural lighting and views. 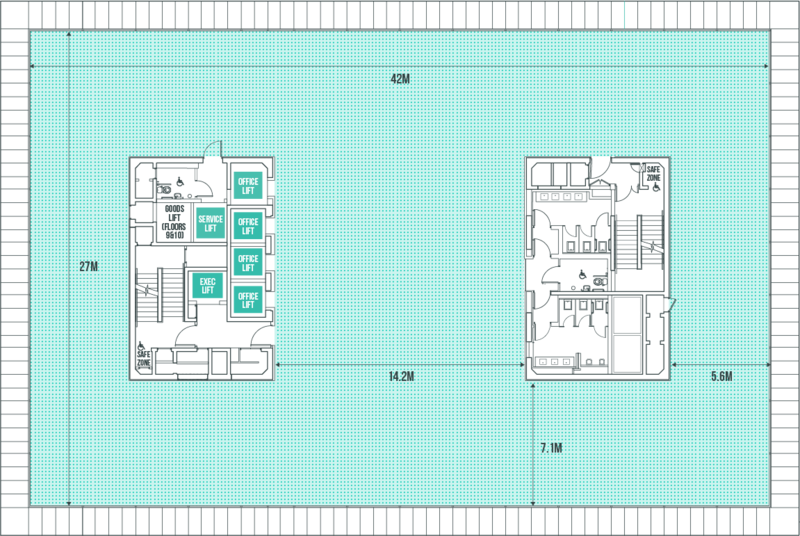 Twin central cores support the floating floors, resulting in truly column-free offices. 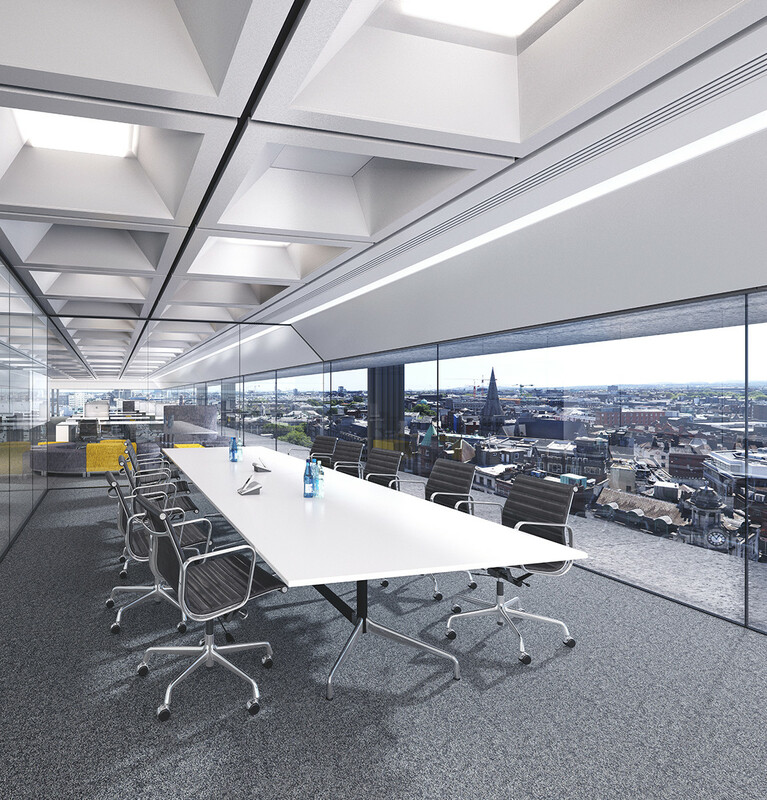 Workspaces flow within and around the large spans created by the cores, allowing easy adaptation to evolving work styles and office configurations. Panoramic views provide outstanding backdrops for team briefings and client visits. Animated by the perpetual motion of commercial city life, meeting rooms are guaranteed to inspire and impress. 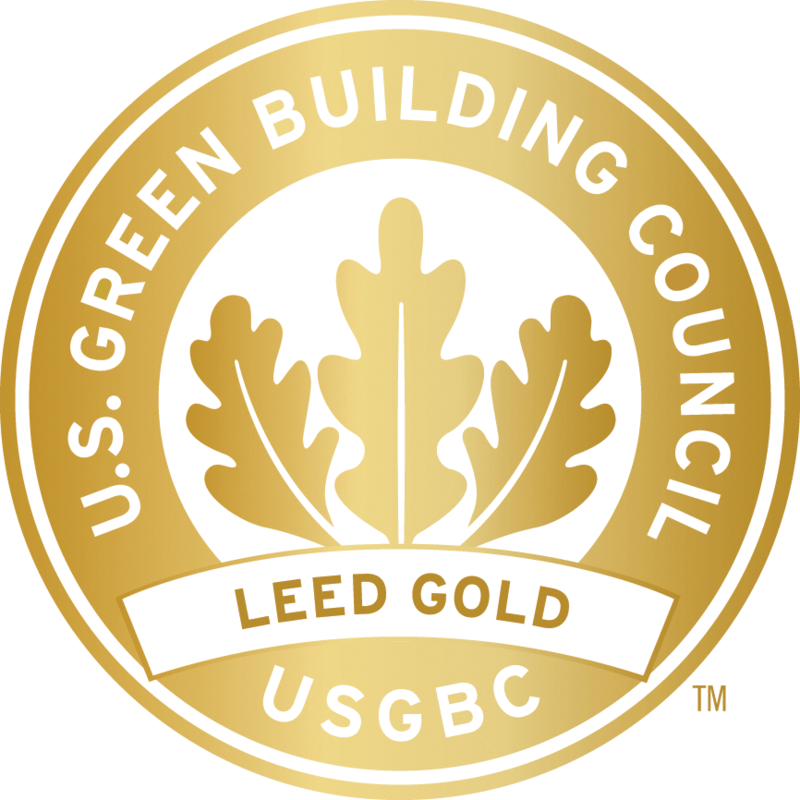 Contemporary architecture and craftsmanship add a new finesse and level of comfort to the building interiors. Staff conveniences have been added in greater numbers and transformed in style. 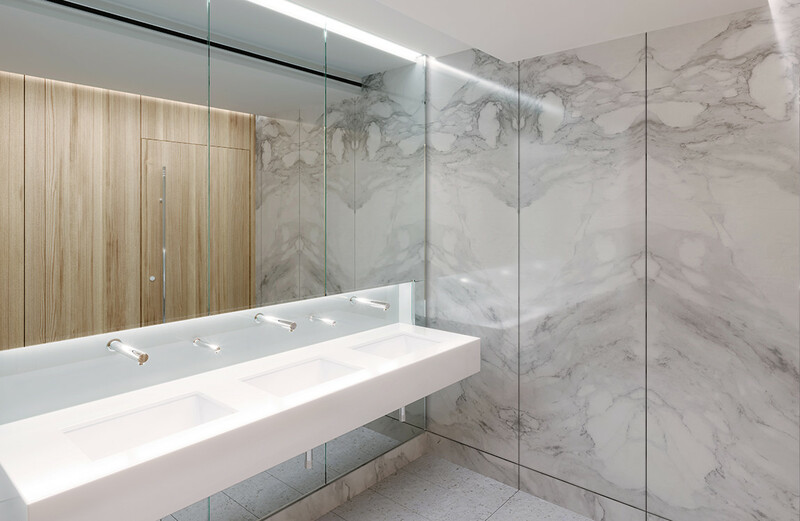 Every office floor now caters for greater workforce diversity with an expanded suite of bathrooms whilst cyclists and joggers enjoy top-of-the-range shower, drying and storage facilities at basement level. Plan not to scale. For identification purposes only. 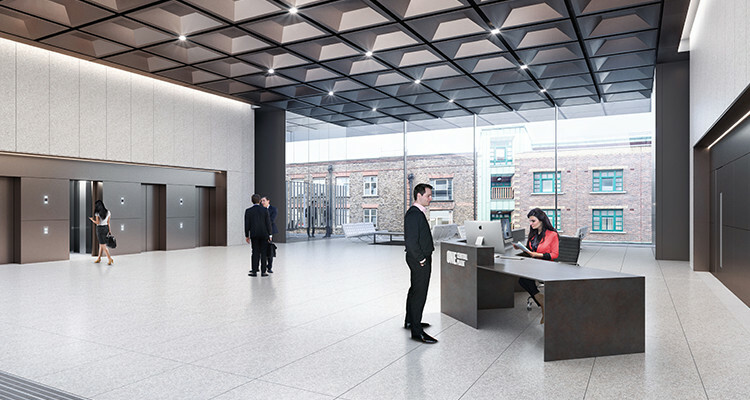 One Central Plaza is a 12-storey building with a dedicated double-height reception area that provides seven elevated floors of exceptional office space totalling 73,101 sq ft.